Officially rated the world’s most popular food, there’s something pretty impressive about pizza, but it’s all too often relegated to the realms of drunken dinners and fast food. 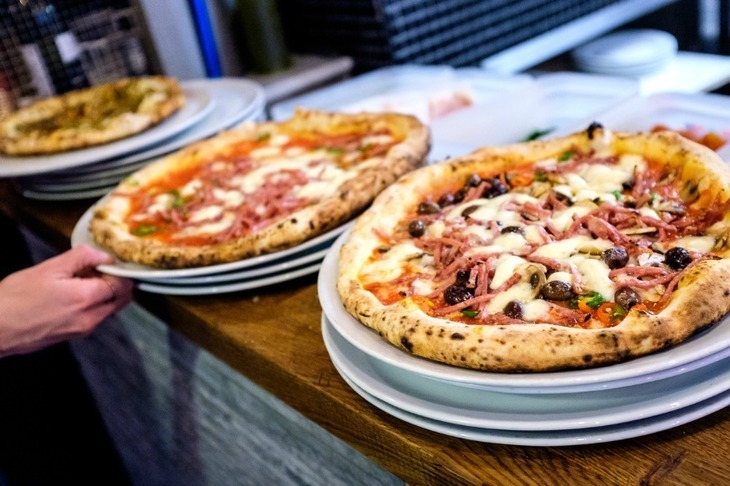 Following in the path of burgers and hotdogs, London has seen a boom in gourmet pizza restaurants of late, and the city now has no shortage of people taking it very seriously indeed. Here’s our pick of the most perfect pizzas in London town. Whether you’re a funghi fan, a margherita man or a lass who likes lardo, we’re confident you’ll find your perfect pizza at one of these restaurants that have really earned their dough. Famous Italians lend their names to the pizzas at this restaurant near the Heath, but it’s the dishes themselves that are the real stars. Neapolitan in heritage and approach, the team use Caputo flour, imported from Naples, for their dough, fermenting it for over 24 hours before it goes into the 400°C oven. The extra air inside it means the dough quickly puffs up in the oven, making for a refreshingly light and airy pizza base. For toppings, only hand-crushed tomato sauce is used and the amount of mozzarella is carefully regulated to avoid excess water that might threaten that superbly crisp base. Try the Sofia Loren topped with tomato, mozzarella, artichokes, black olives, courgette, aubergine, parmesan, basil and olive oil. More Neopolitan at this south London restaurant where the quality of ingredients means the pizzas are excellent. 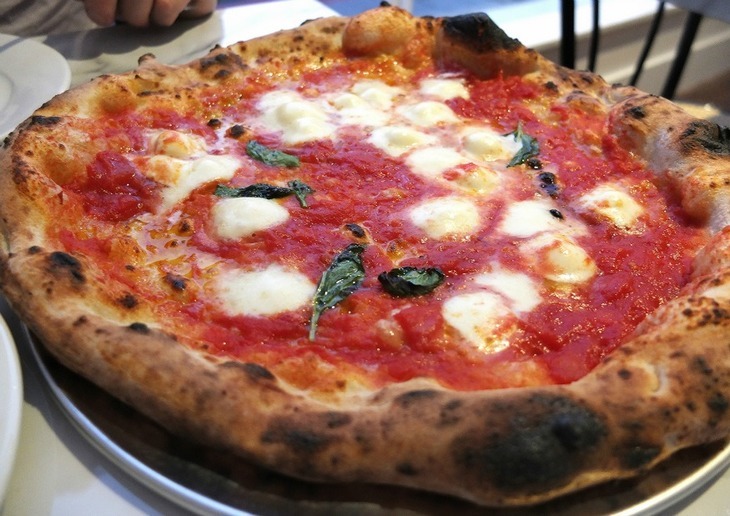 The tomatoes they use are so sweet we could drink them straight from the can, toppings are sparse and excellent and the dough is spotted and blistered, just like good Neopolitan pizza should be. They also get extra points for the Nutella sandwich they do, which is basically loads of Nutella sandwiched in pizza dough and baked, then dusted with icing sugar. Bravi Ragazzi serves the real deal. Photo: Helen Graves. There are two branches of this peculiarly-named restaurant, but both the Battersea and Notting Hill venues have their hearts set somewhere in Italy. Thin, soft-based pizzas steer well clear of over-the-top toppings in favour of tip-top Italian produce (it’s genuine mozzarella di bufala and ricotta di bufala all the way). We particularly like the Diego’s pizza loaded with tomato, mozzarella, salami, buffalo ricotta and basil, but the restaurants can pull off meatballs, Gorgonzola and sausage with just as much gusto. These casual eateries are very serious players in the pizza stakes. One last thing: the prices are a little higher than standard, so it makes sense to go in a group and order a metre of pizza to share the cost. With one branch on Dean Street and another just off Carnaby Street, plus a third in Exmouth Market, Pizza Pilgrim founders, brothers James and Thom Eliot, have well and truly completed the transition from street food stars to restaurateurs. As the name recalls, the pair went on an extensive pizza pilgrimage across southern Italy before pulling together everything they’d learned to bring superlative Neapolitan-style pizzas to London. The characteristically soft dough of pizzas from this region set them apart from most, while exactingly-sourced Italian ingredients ensure the toppings also shine: try the ‘Nduja, which comes with a real kick. The bustling Soho atmosphere is also a high-point. 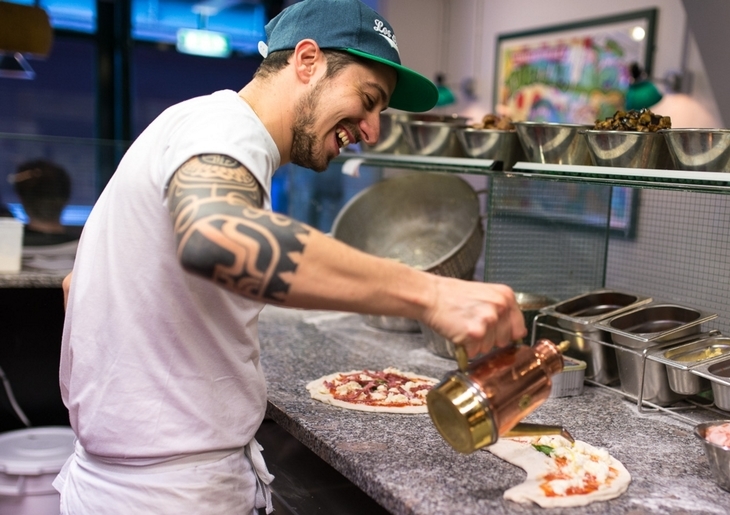 Authentic Neapolitan pizzas are this itsy west London restaurant’s reason for being. In cohorts with a blistering wood-fired oven, the chefs here create chewy-based pizzas with pleasantly charred edges and simple toppings made special through the use of tip-top Italian produce. For the ultimate display of how less is more, try the Santa Bufalina: tomato, buffalo mozzarella, extra virgin olive oil and fresh basil. Be aware that service can be rushed and that the staff’s genuine Italian passion doesn’t always fall in line with more typical British politeness, but we’ve not been deterred. Whatever you do, just don’t take someone who’s going to order just a salad. There’s something infectiously fun about this pizza pop-up-gone-permanent on Neal’s Yard. An open wood-fired oven, large wine bottles on each table (you just pay for what you drink of it), and closely-packed seating all play their part. As do the massive pizza portions and inventive flavours. Think cauliflower cheese, aubergine, spinach and harissa or chorizo, corn and coriander. We’ve tried a fair few of them and not found one that doesn’t work yet, though purists may want to proceed with caution. 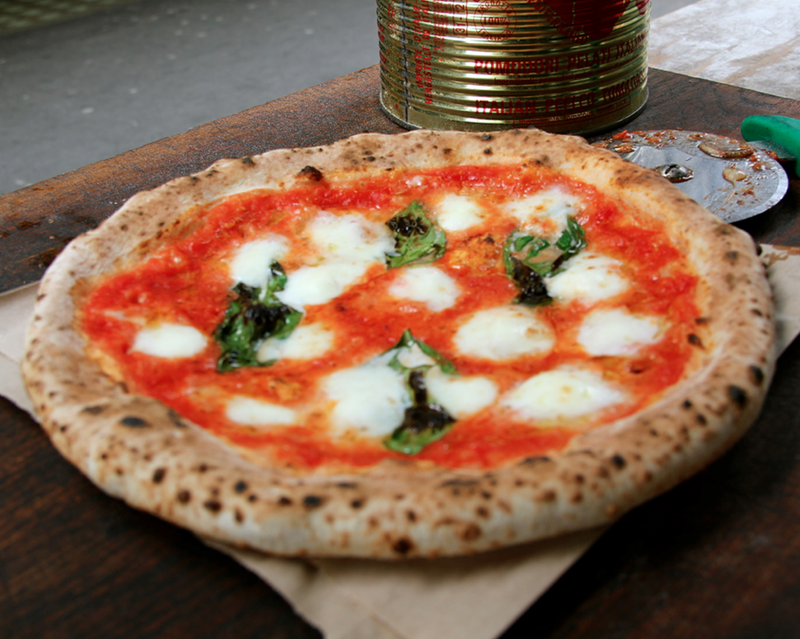 Set at the heart of Portobello Road, this Neapolitan pizzeria prides itself on its rich and gooey buffalo mozzarella. A relatively short selection of pizzas sticks to the classics, but takes many of them to new levels thanks to this and other superb Italian ingredients. The simply named Saporitalia pizza combines luscious puddles of the cheese with fresh basil, tangy extra virgin olive oil and just a little tomato sauce, and we’re not sure it could easily be bettered. We love this bright, modern pizzeria in the heart of Camberwell. It's textbook Neopolitan with top notch ingredients and a short menu. We gave it four stars when it opened and the pizza is now even better - read the full review here. When we first published this article we were met with screams of "BUT WHERE IS ADDOMMÈ?! 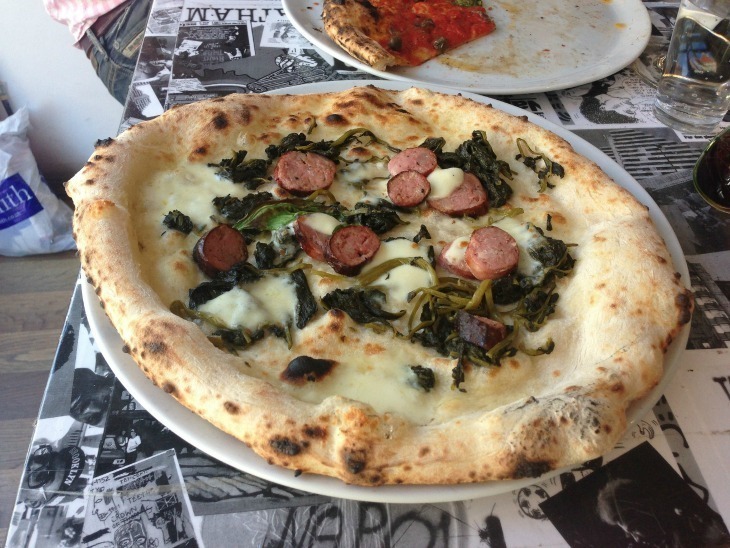 ", so we knew we had to pay the Neapolitan Pizzeria a visit ourselves. 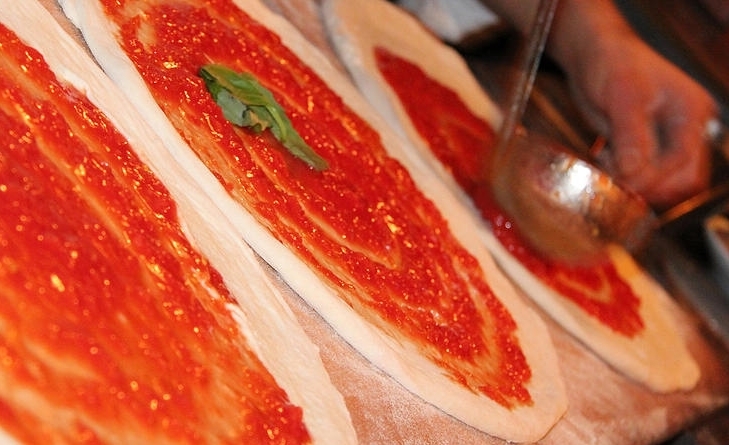 Pizza and pasta dishes are freshly made, full of flavour and utterly delicious. The sourdough pizzas are a particular highlight - made from homemade pizza dough and topped with simple, fresh ingredients before being cooked to crispy-outside/soft-inside perfection. The restaurant itself is tiny (book ahead! ), unpretentious and when we went, full of regulars who the owners greeted like old family friends. We can see why it’s a favourite. If you like what you get at Ealing’s Santa Maria, then check out this sister restaurant in Kensal Rise. We marginally prefer the atmosphere at the original, but the pizzas are incredible, with a reall lightness to them. Again, quality of ingredients shine through here as the simple flavours pack punch. Come to mama. The margherita at Theo's. Photo: Helen Graves. Where's your perfect pizza? Have we missed a local gem? Let us know in the comments below.